I wasn't checking for cancelled events. Please let me know if this fixes the problem: http://dl.dropbox.com/u/57628348/SilkSpawners-0.4.1/SilkSpawners.jar - if so I'll post an update. The plugin doesn't respect WorldGuard regions, and Players can dupe the spawners. Will this be fixed in an update? The error suggests you are running an older version of CraftBukkit, do you have 1.1-R3? @mushroomhostage Thanks sorry if i came off a bit bossy or rude it was not my intention at all I just wanted to Explain my reason for asking for the changes to be made. 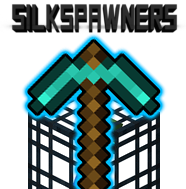 20:49:39 [INFO] [SilkSpawners] Loading SilkSpawners v0.4. Good points all around, thanks for the feedback. I just submitted SilkSpawners 0.4, which should fix most of these problems. I changed the permissions to "false" in the latest version. My intention in setting them "true" was to allow easy installation, no configuration required (I'm one of the lazy ones that doesn't prefer using a permission plugin :)), but I see what you're saying about unintentional granting of permissions. To achieve both of our goals, I added a usePermissions option – if false (default), it will use true or op as before, but you can change it to true to consult plugins.yml, where all the permissions now default to "false". Restricting crafting of spawners is unfortunately more complicated. As far as I can tell it is not yet possible with the Bukkit API (at least according to this thread). I wasn't thinking it'd be much of a problem since you need the spawn eggs to craft the spawners, although in creative mode you can acquire the eggs without the spawners.. For now you can set craftableSpawners to false to disable it globally, and I changed the default to false to prevent unintentional crafting on new installs. If it becomes possible in the future to control crafting using permission nodes, I'd definitely like to add it. You are of course right about the filename conventions, wasn't sure if it would conflict, but I have changed the next upload to be named SilkSpawners.jar, without a version suffix, and all my future uploads will follow this convention (makes it easier for me, too). Hopefully 0.4 will work out better for you, please let me know how it goes or if there are any other problems I should address in the next release. I have just spent the last hour trying to work out why my default users have permissions to pickup spawners and craft them and what not when I DID NOT give them permissions to do that. I found out why you are using plugin.yml incorrectly You are forcing Normal players TO have permissions Regardless if the server owner gives them out or not thus overriding the server owner NOT GOOD AT ALL!!. You need to make the Default: true Lines in the plugin.yml Say Default: False When they are true it Bypasses all permission management plugins and gives normal players permissions with out A the server owner Knowing and B Very hard for the server owner to remove with out opening the Jar file and looking at the plugin.yml to see what is set to true. Most plugins as a general rule DO NOT force Permissions onto Players like this instead they leave it up to the server owners to handle the giving out of permissions And that is what It should be. as only the server owner knows what is right for his or her server. So in the next release could you Please stop giving permissions to Players by default and let the server owners decide what each player gets with their permissions plugin of choice. You may say but what about people with out a permissions plugin well then its their loss for being so lazy as to not have one. For Now i will be editing the plugin.yml of my copy putting it back in the jar and uploading it to the server once more. Please Conform to plugin standards and remove the lines in the next update. the plugin will be better for it and your support work will be reduced. One Last thing Can you please Stop Changing the Jar file name Bukkit dose rarely change theirs and no plugin i know of changes theirs every release has the same name this is to make updating the plugin easy for the server owner as you can just drag and drop and replace with the name changed it dose not replace thus making it harder.. Please just drop the version number from the name of the jar. Plugin released! The "enchanted spawners" technique works great on 1.1 to store the creature metadata. Since a build around the official 1.0 release, Spawners don't store meta data, so any conventional method for spawners to retain their type isn't possible. The Developer of Creaturebox came up with a way to "enchant" spawners to retain their type, but I haven't seen it work.